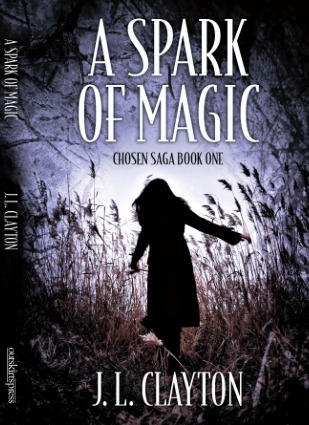 A Spark of Magic: Chosen Saga Book One by J.L.Clayton – Books, Books and More Books! Charlie is about to turn 16 and is once again moving. She moves quite a bit and is getting tired of it and the lies her parents are telling her. She expects she’ll be miserable in this new place too. But things are different in this town. She loves her home, she’s made friends. And is totally crushing on not one but two hot guys, Tru and Jace. Normal teenage girl stuff, right? But right from the start you can feel there is something going on here, undercurrents of paranormal and a million questions with few answers. Why are her parents lying to her and what exactly are they lying about? Who or what is invading her dreams at night and calling to her in a voice so seductive she just wants more. Charlie is on a journey to find out not only who she is but what she is. And her life is about to be turned upside down and inside out as she discovers the answers to her questions. This the first book of the series with A Blaze of Magic and A Ghost of Magic to come. Ms. Clayton has done a fine job with Charlie and I’m sure the rest of the series will be done with the same enthusiasm and energy of the first!